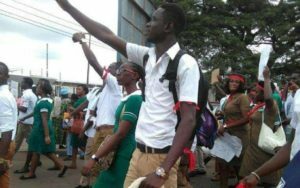 Over 200 graduate nurses staged a protest today [Wednesday], to compel government to release their financial clearance for their postings. The protesters are joining their counterparts in other regions to get government to address their concerns. 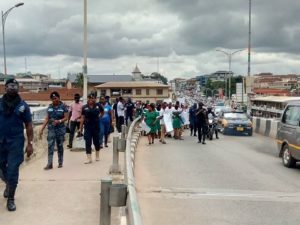 The protesting nurses who initially converged on the Kumasi Jubilee Park marched through some principal streets of the metropolis. 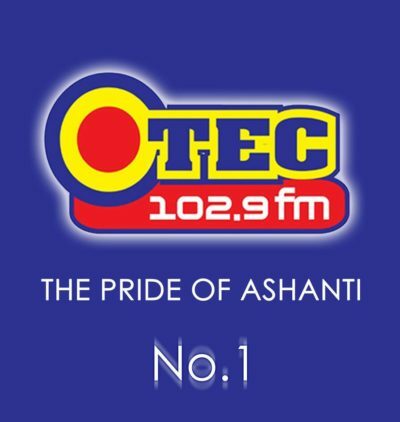 They are expected to wrap up at the Ashanti Regional Coordinating Council where a petition will be submitted to the Ashanti Regional Minister for onward submission to Government. Another said: “I think this government has been giving us assurances that have not resulted in positive results. We are pleading the government to release our financial clearance today or tomorrow so that we will end the issue. 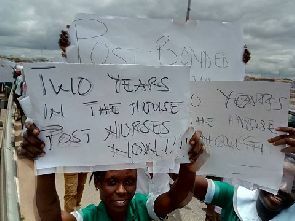 Graduate Nurses have been protesting for some time now over their postings. 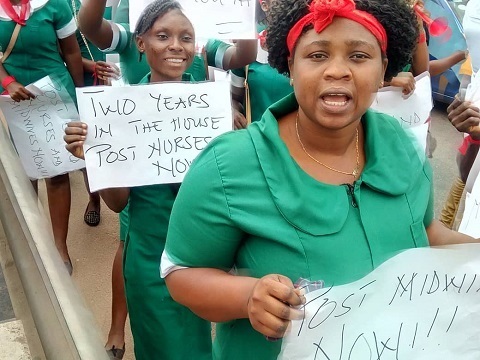 In February 2018, some unemployed graduate nurses demanding posting picketed at the Health Ministry. 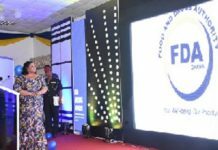 In response to the nurses’ demands, a Deputy Minister of Health, Tina Mensah, attributed government’s inability to post them to lack of funds. She indicated that the nurses will be posted as soon as they get clearance from the Finance Ministry. “We never had the clearance. When there is clearance in payment then you have to introduce the people, alert them and push them to do whatever they have to do. When the money is available you can clear them,” she said. 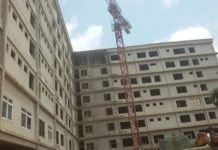 The Members of the Ghana Nurse and Midwives Trainees Association, have served notice they will be embarking on a mass demonstration to protest the NABCO initiative. Even though the President is optimistic the programme will mostly solve the country’s unemployment situation, the unemployed nurses and midwives have argued that it does not provide job security. 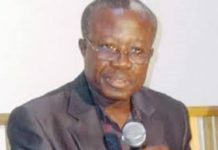 The Public Relations Officer of the Association, Akugri Gadafi, also stated on Eyewitness News that the remuneration package for nurses in the programme is unfair, suggesting that newly-employed certificate nurses earn about 1, 100 cedis, diploma nurses earn about 1, 600 cedis while the degree nurses earn 1, 800 cedis and above, all much higher than the 700 cedis persons employed under the scheme are set to earn.